Interesting that instead of the usual police reaction of either ignoring the street jihad incident or issuing the hollow mantra of a muslim violent attack being a "one off" this time Det Sgt Andrew Butterworth opted instead to state: "The beating this man received was brutal and those responsible should be ashamed of themselves for behaving like a pack of animals." Granted "ashamed of themselves" is a feeble endictment for such a despicable group of cretins but the "behaving like a pack of animals" is far closer to the mark than most police spokesmen have been previously willing to state. Could it be that at least some of the police are getting as fed up with these savage muslim street jihadists as the rest of the British population? 'Bout time. Now where is the national mainstream media? A MAN was assaulted by a gang in a brutal race attack. The 21-year-old white victim was walking with his girlfriend on Clarkes Lane, Rochdale, when they were approached by a large group of Asian teenagers. The group began attacked the couple while shouting vile abuse. Although the 17-year-old girl managed to struggle free, her boyfriend was repeatedly punched and kicked. He suffered a fractured ankle and injuries to his nose and face. The gang were aged between 16-20. One of the attackers was an older, slim youth, 5ft 8 ins, with short black hair and pointy chin and nose. The attack was around 8pm on Monday, November 2nd and police have issued an appeal for information now after a two-month investigation failed to track down those responsible. Det Sgt Andrew Butterworth, of Rochdale CID, said: "The beating this man received was brutal and those responsible should be ashamed of themselves for behaving like a pack of animals. Anyone with information is being urged to call detectives 0161 856 4644 or Crimestoppers, anonymously, on 0800 555 111.
and the UK has their ever growing muslim community. There has been a huge increase in the numbers of dog fighting rings in Britain - a country well known for it's love of their dogs. But since the Labour government foisted rampant legal and illegal muslim immigration upon the British people - under the guise of multiculturalism - the prevalence of dogfigting has mushroomed. Primarily bull breed dogs are being used for this blood sport but even cats are abused for "fun". Source: RSPCA. Figures for England and Wales"
Of course - no surprise - all of the above mentioned cities are hot beds of the Religion of Peace. You can 'bet on' some addle-headed multicultural worshipping morons doing their typical muslim apologising routine and stating that dog fighting is part of the muslim "culture" - you know the "culture" that these same multiculti idiots are trying to convince us is on a par with thousands of years of British civilisation?! I find it is particularly ironic that muslims insist the Qur'an dictates that they not let dogs, even service dogs in their taxicabs or homes - as dogs are "unclean" - yet clearly MANY muslim men have NO problem exploiting dogs for barbaric dogfighting AND obviously use this blood sport to gamble. Isn't gambling forbidden in the Qur'an? - why yes it is! Guess this is just another instance of muslims disregarding the Qur'an when it suits them. I guess the below "Asian" men can be proud that their disgusting behaviours place them in the company of serial killers such as the cannibalistic Jeffrey Dahmerand Boston Strangler - Albert DeSalvo. As far as I am concerned there is little more despicable than dog fighting and the miscreants who force dogs to fight to the death. These useless occupiers of space who abuse dogs and then use them as entertainment should be sent to jail and the key thrown away (-well to be quite honest I think they deserve a bit more "punishment" than just a cushy jail cell with curries on demand). I have no sympathy and will make no excuses for the heinous activity of dog fighting. I own two English bull terriers and needless to say if someone tried to steal or hurt my beloved dogs - they'd not leave walking. And that's not a threat - but a reality! We must demand the rescued dogs will be rehabilitated as with the "Vick Dogs" rather then be doomed to death for the "crime" of living an tortured and abused exisitence - a life they never chose - but was forced upon them - in this case - by gangs of cheering "Asians". 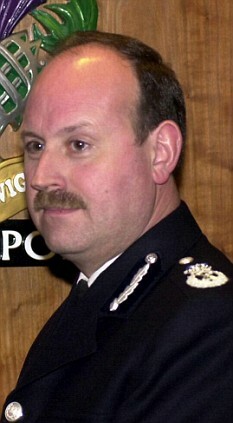 It was the sound of dogs barking and whimpering that first attracted PC Paul Foster to the back of an old kitchen showroom in inner city Birmingham. As he got closer he heard voices and men cheering. What police found in Alum Rock a mainly Pakistani inner-city suburb, was an unexpected and disturbing crime scene. 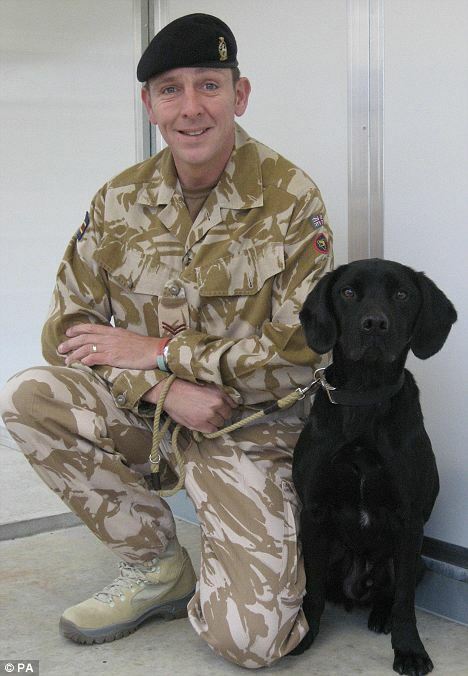 "The first thing I notice was the black pit bull terrier, little fur, covered in blood in a bad way," PC Rogers told BBC Radio 4's The Report. Twenty-six men were eventually convicted two years ago for taking part in the largest illegal dog-fight uncovered in the UK. What the fight in Alum Rock revealed was the first glimpse of organised dog fighting in the Asian community taking place in urban surroundings and tens of thousands of pounds gambled on the result. 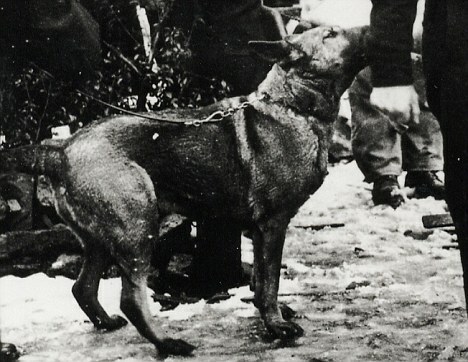 Since then subsequent raids have revealed that dog-fighting has become a problem in some sections of the Asian community. 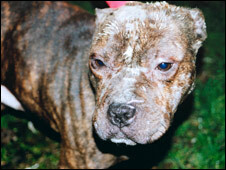 Ian Briggs, chief inspector of the RSPCA's Special Operations Unit said dog-fighting is up 400% in the past three years in the UK. "Out of all the work we do 98% is Asian". "Information about one fight we uncover leads to another but certainly we are scratching the surface." 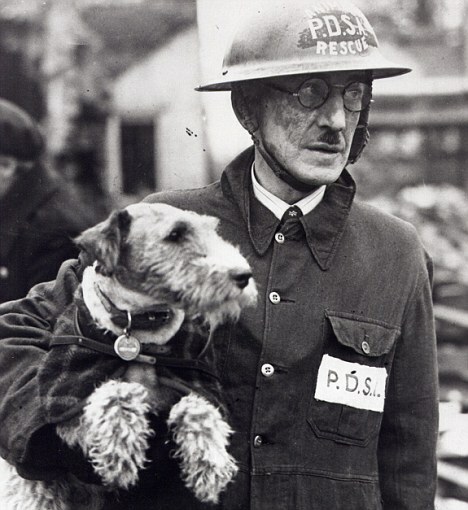 What has also surprised RSPCA officials is the attention to detail that accompanies the fights. 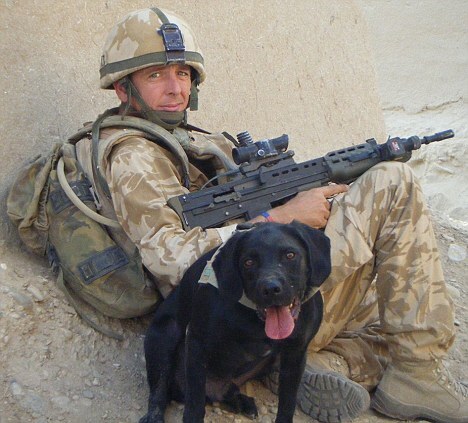 During raids in the West Midlands, RSPCA officers have uncovered detailed training logs which would not be out of place in a professional athlete's routine. One log listed a nine-week plan including putting the dog on a treadmill for 30 minutes, three times a day and listing what drugs should be administered and the diet regime. A youth worker from Handsworth said the goal is to create a perfect specimen. 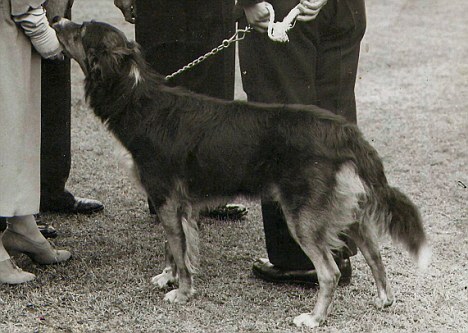 "They're looking for a more exotic dog, more jaw pressure, one which has got more stamina, the drive just to kill, that's what they are looking for, them characteristics people will pay money for. That's where the money's at," he said. Yet it would be wrong to think this is a covert world. Young men openly parade their illegal pit bull terriers saying how police cannot tell the difference - while the police with stretched resources can only play a limited role in tackling the problem. Meanwhile there is evidence that young British Asians are having an impact on dog fighting back in Pakistan. Basharat Najiba, a youth worker in Birmingham, said that a sizeable number of spectators make the trip from the UK with some even owning the fighting dogs and paying money to locals to look after them. He said: "I think British Asians are big players because of the financial attachments that they can bring from here." Dog fighting is part of life in rural Punjab and Kashmir and there are fears that its acceptability could be increasing among a new generation of young Asians in the UK aware of fathers, uncles and cousins attending dog fights in Pakistan. And while the majority of the community find the fights abhorrent, there is among others, as one Asian youth worker explained, certain apathy. "People say 'the dog wants to fight' and I don't believe that at all because it's the human being that's taking the dog to fight. They haven't got a choice about being in that ring," he said. "It's the same like drugs - it's always going to happen. It's the same like prostitution it will always happen, it's like one of them kind of things where it's being abused to bad limits behind closed doors and people need to know about it because it does happen." "As far as I am concerned there is little more despicable than dog fighting." Well horse fighting to the death - conducted on the Phillipine Island of Mindanao - by muslims in the name of "fun" & also as a source of gambling -is equally if not more despicable. "Mindanao is the second-largest and the most southerly island, with a very different feel from the rest of the country. A variety of Muslim ethnic groups live here......The flea market sells Muslim pottery, clothes and brassware." Interesting but not surprising that you won't find this clear muslim association to the Island population as well as to the festival/horse fighting mentioned in the article below. Let's hope that Mindanao does indeed have "a very different feel from the rest of the country (Phillipines) because what you read & see below will undoubtedly make your stomach churn with repulsion. It is past time for this muslim tradition to be stopped - permanently! FAMILIES gather in their thousands and children climb trees for a better view of the festival taking place below. The crowd cheer and laugh — the object of their excitement a bloodied stallion kicked so brutally by another that its eyeballs have been dislodged from their sockets. Welcome to the vile spectator sport of HORSE-FIGHTING. The nation reeled in horror yesterday when Sky TV broadcast stomach-churning fight images from the Philippines. The savagery was BANNED there ten years ago but is still sickeningly rife deep in the jungles. These shocking pictures from a three-day fight festival held on Mindanao Island, in the eastern Philippines, show the “sport” in all its barbarity. Normally placid stallions are whipped up into violent frenzies by sick organisers desperate to put on a show and make money from betting. A mare in season is tethered to the side of a filthy, makeshift pen to ignite sexual rivalry among the stallions and guns are fired into the air to panic them into violence. In the wild, the gentle giants never fight to the death. Males clash over mates, as well as leadership rights, but the weaker ones give in to the stronger ones before they are seriously injured or killed. Yet in the depraved, man-made heat of the fight ring, they are not allowed to back down and thousands of stallions are maimed, crippled or killed each year. And it isn’t over quickly. These frequently ill-matched fights are drawn out for up to 45 minutes before a victor is declared. Last night a spokesman for Canadian welfare group Network for Animals, who are campaigning to end the contests, urged Brits to add their voice. He said: “If people want to help stop these tournaments they should write to the Philippine Embassy in London and tell them they will not visit their country unless urgent action is taken. Thousands of eager spectators travel long distances to see the beautiful animals pitched against each other in contests fixed by criminal gangs and corrupt cops. Trainers teach the horses how to fight and the nightmarish spectacles are big business in poor communities where thousands of pounds are wagered on fights. Crime syndicates have taken over the gambling and rake in huge profits. Campaigning veterinary surgeon Dino Yebron, who attends tournaments in the hope of saving as many horses as he can, says: “This is obscene. Kerstin Alford, of animal welfare charity The Blue Cross, adds: “In the wild, it is normal for stallions to fight for the right to rule a herd but nature takes its course when the stronger animal emerges and the other retreats. “These fighting rings, however, force the horses together in an artificial situation where they don’t have the option of backing down and literally have to fight for their lives. 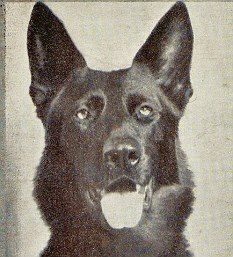 Now looks like the police have at least a semi-solution in their quest to appease muslim dog outrage. Police dogs are now being fitted with booties so those muslim perceived "unclean" police dogs will not leave dog footprints and scent when used to check for bombs, etc in mosques and muslim homes. Get that?? 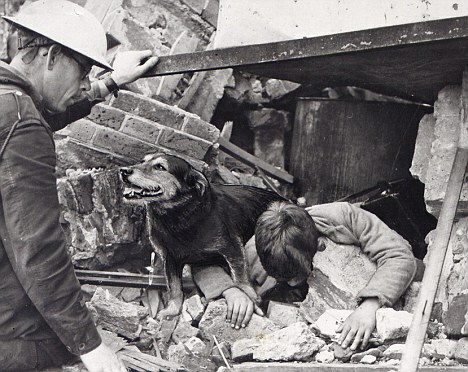 Dogs checking for BOMBS (one would believe that there has to be at least a suspicion that bombs are present) - and our police's top concern is all about appeasing muslims. 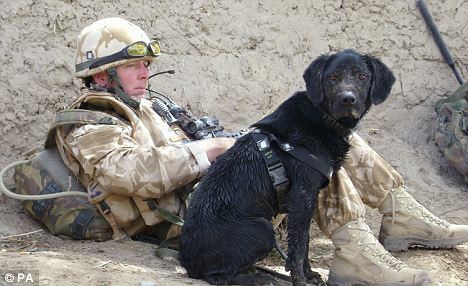 To think that highly trained dogs, risking their lives to save people from being blown apart are "offensive" -as muslims do - is an insult to not only these hardworking animals but also against the majority of British people who reside in the most "dog friendly" country in the world - or at least it USED to be before muslim "offense" and appeasement became top priority. 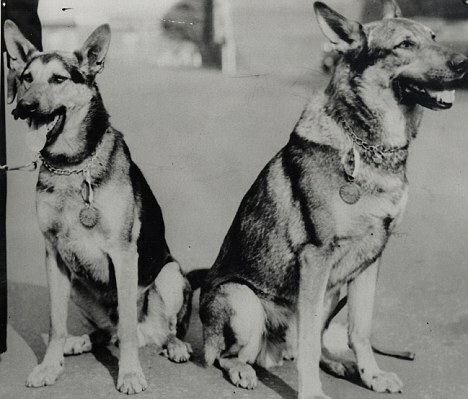 Oh - by the way- looks like muslims, as with so many other "offenses", also pick and choose on the dog issue --- predominately muslim Egypt uses police sniffer dogs at their Cairo airport (presumably without booties) - recently one of these dogs sniffed out snakes and reptiles being illegally smuggled out of the country by--guess who. Read story here. 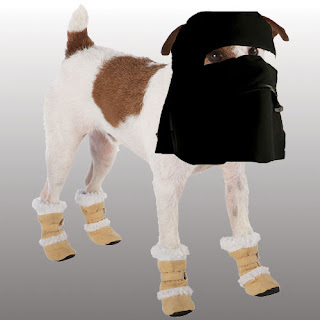 SNIFFER DOGS TO WEAR MUSLIM "BOOTIES"
Islamic injunctions warn Muslims against contact with dogs, which are regarded as “unclean”. Undoubtedly I am far from the only one who is absoutely SICK & TIRED of the muslim minority, in the UK, thinking that every bit of their culture should be implemented in Great Britain with NO regard to the thousands year old culture that the British people themselves have achieved and lived for millenia. (We could take this worldwide - but that is for a future blog) Let's face it - no one dragged these muslims, kicking and screaming into the UK. No one is forcing them to stay. Even more sickening is the British police and government who (for what appears to be on a daily basis) twist and turn themselves into apologetic dhimmi pretzels (let's emphasize that to DHIMMI PRETZELS) trying to appease bleating, whining and constantly "offended" muslims - offended by the same culture that THEY have chosen avail themselves - the same country that provides so many of those generous financial and physical benefits. This isn't just insidious multiculturalism - this is British cultural apartheid. 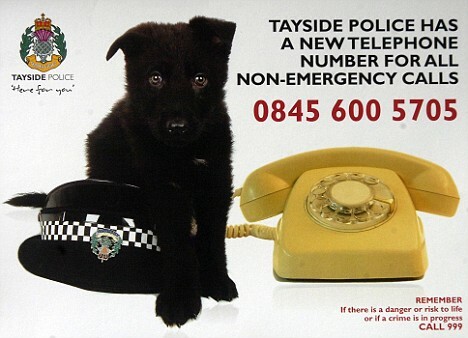 The muslim daily whinge and moan today - is none other than a picture of an adorable puppy sitting inside a police hat to advertise a new police non-emergency phone number. 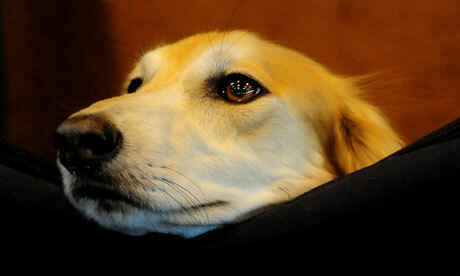 (I have written extensively about muslims & dogs - to read a few go here and here.) You would think, based on the muslim indignation, granted it is far short of that shown regarding the Danish MO-Cartoons or the Teddy Bear Teacher, but nevertheless defiant in its demands that the puppy poster not be used and vowing that, regardless of its importance, it will not be displayed in muslim businesses, etc. Oversight? Why is it that the muslims think that every niche and cranny of British life, culture, mores, etc must first be approved by muslims? (Is it because the constant drumbeat of government and police appeasement?) Yet when it comes to muslims and the stealth implementation of Sharia Law into the UK or its customs -some of which are untenable and barbaric -- the British people (and everyone else) are immediately labeled as Islamophobic if great respect and subservience is not immediately shown. This is exactly what muslims want, expect and unfortunately have so far succeeded in establishing not only in the UK but most of Europe.